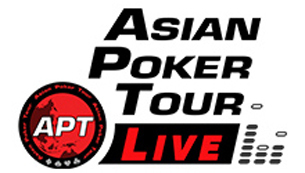 The coldest day in Tokyo didn’t stop players from making their was to Casino Stadium for the inaugural APT Tokyo Japan 2019. The highlight of the day was the Main Event on its final starting day. It drew 117 entries for a total of 234 entries combined. Running alongside was Day 2 of the High Rollers. We’ve got those results for you below along with the winner of last night’s NLH Turbo event. A total of 79 runners advanced to Day 2 taking place tomorrow, February 10 at 11am. You can view the chip counts in the APT Facebook page. Day 1C drew in the largest attendance of all the starting day heats with 117 entrants. 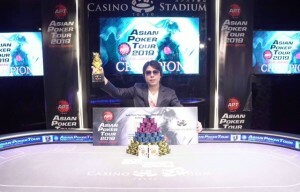 Coming out on top was Korean player In Ho Song bagging up 224,200 in chips. This put Song in the driver’s seat coming Day 2 with the largest stack of all the advancing players. Among those also making it through this heat were Kenji Hata, Go Mori, and decorated APT Main Event champion Takumi Samejima. 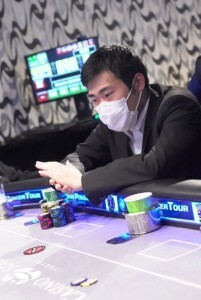 The two-day High Rollers event concluded with Junya Kubo overcoming the 28 player field. 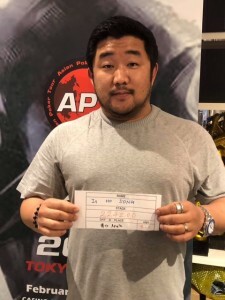 Kubo claimed the top prize: APT Philippines 2019 Main Event ticket and a High Rollers ticket, airfare, and 4-night’s hotel accommodation. Finishing 2nd was Shigeji Kusakabe. He earned an APT Philippines 2019 High Rollers ticket. In third was APT regular Toshiyuki Onda. Onda has two APT titles and a string of deep runs in the circuit. 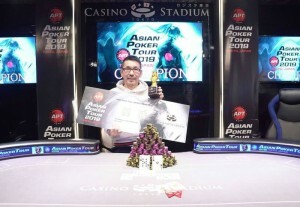 For his finish here, he was awarded an APT Philippines 2019 Main Event ticket. 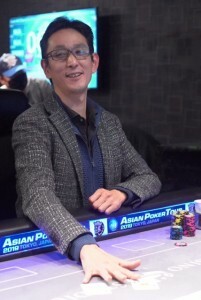 And finishing 4th was Takumi Yamamoto, he too claimed an APT Philippines 2019 Main Event ticket. The fourth side event of the series was the No Limit Hold’em Turbo. This event took place yesterday attracting 74 runners to the tables. The final table streamed live and has now been uploaded for your viewing pleasure. Click here. Winning it was Akio Kawano after defeating Luis Perez at heads up. The final hand saw Kawano with A♠ 9♣ and Perez with K♦ Q♦. 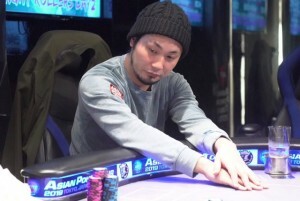 Both players missed the board entirely for Kawano to claim his first-ever APT golden lion trophy. 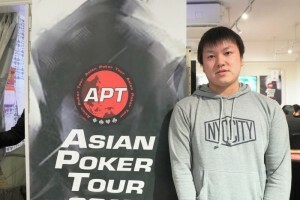 Kawano was also awarded a seat to APT Philippines 2019 Main Event worth JPY 120,000. 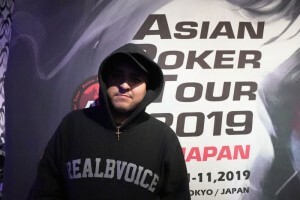 For his runner-up finish, Luis Perez was awarded an APT Philippines 2019 Side Event ticket worth JPY 60,000. And claiming the last prize was 3rd placer Koki Ioka. He was awarded an APT Philippines 2019 ticket worth JPY 30,000.